Well, you can obviously tell which one I’M excited about, but I’ll humor the other titles. The latest addition to the color deprived series of Gears of War, GoW: Judgement, released at midnight today. I’ve played through the series, and I’m just not crazy about it. It’s one of those games that was only fun to me if a friend was playing with me: very boring otherwise. As expected, I’m not picking this one up, but hell, if you’re a fan of the Gears series, then go for it. 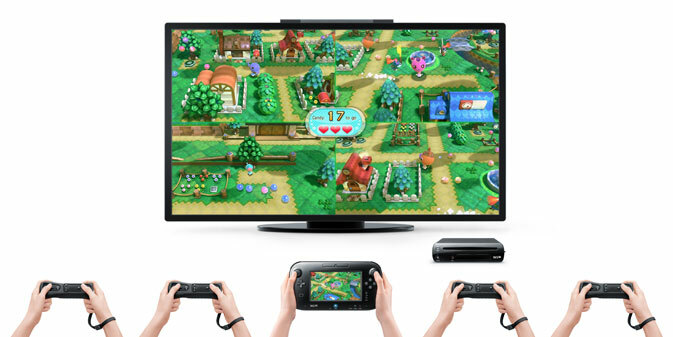 Nintendo Landdoesn’t feature online multiplayer; however, it includes local multiplayer for up to five players. IGN asked the party game’s director, Takayuki Shimamura, why there is no option to play its multiplayer minigames with other Wii U players online. According to Shimamura, it’s more fun to have players – with different designated roles – to be able to communicate with each other in the same room while engaged in a minigame. Do you wish Nintendo Land included online multiplayer, or are you lucky enough to always have other potential players in your household?